The Association attends this new event in the sector where it will continue to showcase attendees the excellence of its associated marinas. Boot Düsseldorf, which celebrates its 50th anniversary this year, received in its 2018 edition 247,319 visitors from 102 different countries. The initiative is developed jointly with the APPA (Andalusian Ports Public Agency) and Turismo Andaluz. The Asociación de Puertos Deportivos Marinas de Andalucía continues with their international promotion campaign by attending Boot Düsseldorf 2019, which will take place from January 19 to 27 in Germany. 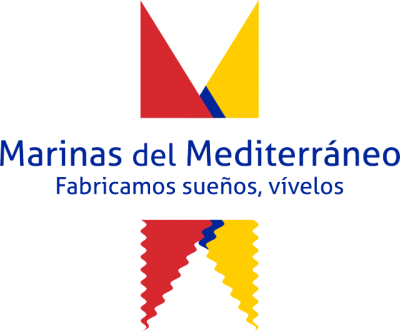 This nautical show will be the third European event attended by Marinas de Andalucía in collaboration with the Public Ports Agency of Andalusia and Andalusian Tourism whose common objective is to promote the Andalusia brand in international destinations. The joint exhibitor will be located in Hall 13/C33. In this new journey, German sailors, among other nationalities visiting the exhibition will have the opportunity to learn about the wide offer of more than 9,000 moorings that add up to the 16 marinas that are part of Marinas de Andalucía. These port facilities serve as benchmarks for excellence in the services they offer, having everything necessary for users to feel comfortable and enjoy a quality experience in each of the ports they visit. Over 800 kilometres of Andalusian coast where these marinas are located, offering the perfect combination to become the destination both for basic stays and for transits: suitable climatological and navigation conditions of the coast, an extensive communications network, the combination of an impressive natural and rich landscape along with kilometres of beaches and, of course, an exquisite gastronomy that characterises the whole Andalusian territory. To present this information to those interested, Marinas de Andalucía attends this exhibition with tourist brochures in German and English with updated information on the 16 associated marinas and their coasts. In addition, as already done in the salons of London and Paris, the Association will continue to offer attendees the possibility of subscribing to the campaign "Moorings Discount Bonus", for them to get to know the associated ports. Boot Düsseldorf, which celebrates its 50th anniversary this year, is one of the most important nautical shows in the sector worldwide. The data for the 2018 edition speak for itself: 1,932 exhibitors (compared to 1,800 in 2017) and 247,319 visitors from 102 different countries. For the president of Marinas de Andalucía, José Carlos Martín, the visit to the Düsseldorf Boat Show is a new opportunity to raise awareness of the level of Marinas de Andalucía's marinas. In his own words: "we work under the premise of providing the highest quality in our facilities and services together with an extraordinary customer service." The international journey of the Association will end with a visit to the Hiswa RAI Amsterdam boat show next 6-10 of March.